Los Angeles, Hamburg, Rome, Budapest and Paris will compete to host the 2024 summer Olympic Games. The International Olympic Committee (IOC) will elect the winner at a vote in Lima, Peru, in September 2017. Toronto mayor John Tory announced on Monday that the Canadian city had decided not to bid for the Games, citing other priorities. 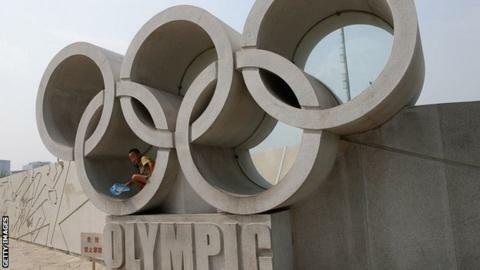 The IOC changed the rules in August to ensure every city bidding for the 2024 Olympics progresses to the final vote. What is it like inside the All Black winning machine? 97 out of 100: Who was the Premier League star man? Previously the organisation selected a shortlist of candidates on which the 100 IOC members would vote. The change came after four cities - Oslo, Stockholm, Krakow and Lviv - withdrew during the bidding process for the 2022 Winter Olympics. Beijing narrowly beat the only remaining challenger, Almaty of Kazakhstan, in the final vote of IOC delegates. IOC president Thomas Bach said his organisation will conduct "confidential polls" to judge public support in each of the five bidding cities. "The IOC wants to send the athletes only in cities where they are welcome," said Bach. "This is why public support for a bid is so important." Los Angeles, USA: The only bidder from the United States following Boston's withdrawal in July. Seeking to stage the Olympics for a third time after hosting in 1932 and 1984. The LA24 bidding team is promising to "put on a show that only LA can do for the greatest athletes on the face of the earth". The plans are again based around the Los Angeles Memorial Coliseum, which would become the first stadium to host three Olympic games if the city's bid is successful. Hamburg, Germany: Will hold a referendum in November on whether the city actually wants the Games, but the early signs are promising after 20,000 people joined a torch-lit march to demonstrate their support. Proposing a carbon-neutral Olympics with venues within walking distance of each other. Bidding to stage the Olympics for the first time, Hamburg proclaims itself as Germany's sportiest city and a recent survey revealed 80.5% of men and women in Hamburg take part in at least one sport each week. Germany also wants to host the 2024 football European Championship. Paris, France: Twice hosts in 1900 and 1924, the French capital is still smarting from losing the 2012 Olympics to London. That bid was criticised for being dominated by politicians, so triple canoeing gold medallist Tony Estanguet has been made a vice-president of the bid this time. Like London 2012, Paris is promising a host of iconic landmark venues: open-water swimming in the Seine; triathlon at the Eiffel Tower; and a cycling time-trial finish at the Palace of Versailles are some of the proposed locations. Rome, Italy: Despite being hosts in 1960, Rome's bid may struggle to overcome the impact of its last bid to stage the Olympic Games. The Italian government forced the city to pull out of the race for 2020 because of budget concerns, with the Games eventually going to Tokyo. Rome is planning to base its bid around the Stadio Olimpico, which was last refurbished for the 1990 World Cup and is home to the city's biggest football clubs, Roma and Lazio. Budapest, Hungary: Hungary is the only one of the 10 most successful medal-winning countries at the Summer Olympics never to have hosted the event. Budapest has bid for the Olympics five times before, and has been planning this latest Olympic bid since 2008. If successful, the Hungarian capital would become only the second Eastern European city to host the summer Olympics, after Moscow in 1980. The city is promising to build a host of new venues for the games, but is pointing to the many world championships it has hosted in recent years. Budapest will stage the World Swimming Championships in 2021. With nearly two years until the vote in Lima it is early days, but already people are talking about Paris and Los Angeles as the front-runners. Both cities have twice hosted the Games, Paris most recently in 1924. The 2024 Olympics will mark its 100th centenary, which may chime with IOC members. Also in the French capital's favour is it has plenty of experience in staging major sports events, while its bid leaders maintain lessons have been learned following the bitterly disappointing defeat by London for the 2012 edition. The IOC made no secret of its desire for an American bid this time around. A US city last hosted the Summer Games in 1996 and, with commercial differences between US Olympic leaders and the IOC defused, there is no shortage of support for the showpiece to make a return. Rome wants to bring back the Olympics to the Italian capital for the first time since 1960, while Hamburg and Budapest are seeking a first ever Games. Right now, all three will probably be considered outsiders, but so were London and Rio at the same stage of the 2012 and 2016 campaigns, and we all remember how those contests panned out. Much can, and probably will, change throughout what is a complicated bidding process.